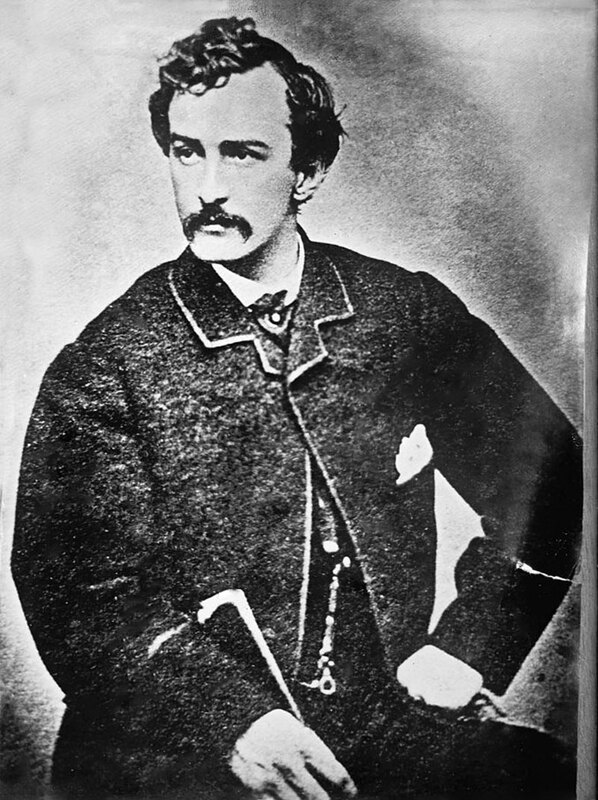 John Wilkes Booth was born on May 10,1838, in Bel Air, Maryland. His father Janius was the most famous Shakespearean actor of his time. John was raised on a farm that included several slaves. He and his family believed in the superiority of the white race. Janius would die suddenly in 1852, and John took over the family farm where he continued to work for the next few years. At this time, Booth began to dream of being even more famous than his father. He made his acting debut at the age of 17, in Richmond, Virginia, and was immediately hooked on the theater. He performed with the Richmond Theater Company for the next four years. In 1859, Booth left the theater and enlisted in the Richmond militia. Shortly afterward he was assigned the task of providing security for the hanging of the abolitionist John Brown. After returning to the theater he began performing all over the United States and earned an amazing $20,000 a year. Then when the war broke out he moved to Washington D.C. where he began appearing at the Ford Theater. At this time he was smuggling medical supplies to the South. Acting made Booth a rich man, and he became very famous. At this time the ladies loved him as he was considered to be very handsome. John Booth was described as having jet black hair and ivory skin. Before long, Booth developed a severe hatred of Abraham Lincoln. He called him a tyrant and blamed him for the fall of the Confederacy. Then in 1864, Booth traveled to Montreal, Canada where he met with Confederate officials. There he devised a plot to kidnap Lincoln after his inauguration. It was his idea to trade the kidnapped Lincoln for Confederate prisoners of war. The idea was popular because the men that would be released could immediately help the Confederate cause. Another idea that was mentioned was using the kidnapped Lincoln as a bargaining tool in the treaty negotiations with the North. Booth also expressed desire to blow up the executive mansion. John Booth was very aware that Lincoln had very little personal security. For many months he tried to abduct him during one of his rides in the city. Then on March 17, 1865 he attempted to kidnap Lincoln at a hospital, but he was unsuccessful when Lincoln decided to attend a luncheon instead, which ironically was held in the same hotel where Booth lived. Not long after the war ended President Lincoln gave a speech at the White House about black voting rights. He said that veterans of the war and the very intelligent blacks should be allowed to vote. In the audience was John Booth who became very angry. He swore that it would be the last speech that Lincoln ever gave. At this time John Wilkes Booth's plans changed. Now he wanted to kill Lincoln, William H. Seward, Ulysses S. Grant and Vice President Andrew Johnson. Three nights later Mr. and Mrs Lincoln and Major Henry R. Rathbone and his fiancee Clara Harris, went to Ford's Theater to see the play Our American Cousin. Booth entered the presidents theater box from the rear, and then pointed a single shot derringer at the presidents head, while pulling the trigger. Major Rathbone leaped in an attempt to save the president. That instant, Booth startled everyone by jumping from the balcony to the stage. He landed on the stage with a thud. His spur had become entangled with a flag that had hung from the balcony. Booth's leg broke, but it did not slow him down. He shouted, �Sic semper tyrannis� or thus ever to tyrants, and then jumped on his waiting horse. As a result, all of the conspirators were hunted down, tried, and hung. Booth was cornered in a barn twenty miles away. They set the barn on fire, and he was shot by Sergeant Boston Corbett.